Have you successfully changed your diet to be gluten-, dairy-, soy-, and sugar-free? Despite making this monumental change, do you still feel tired, bloated, foggy, and not able to really concentrate? 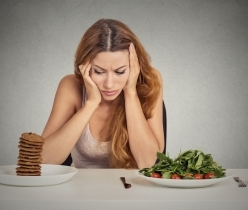 As is the case with many people, changing the diet, although very important, is not enough to see the health that people with hypothyroidism crave for. 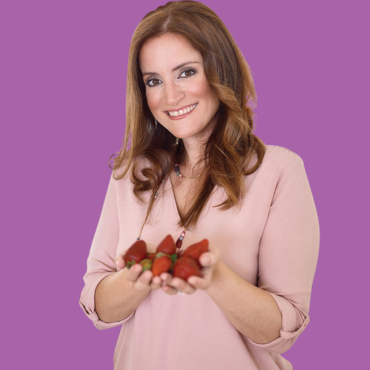 When I was going through my own healing journey, I discovered that there were things that I changed in my daily routine that allowed me to feel better. Many do not realise it, but many habits that seem like second-nature to us are, in fact, destroying our health. Although stress, sleep, diet, and exercise are all vital to feeling better, our environment, and the toxins we allow into our environment can be catastrophic to our overall and thyroid health. Which toxins affect the optimal functioning of the thyroid? Do you drink water from a plastic bottle? Do you store water in large plastic containers that are placed on top of a water dispenser? Do you leave water in plastic bottles in the car when it is hot outside? Do you warm food and then store it in plastic containers? All of these habits can lead to a malfunctioning thyroid. Substances like phthalates and antimony leech out from the plastic and into the water or food. When consumed, these toxic chemicals prevent the optimal functioning of the thyroid gland. Like the convenience of having a non-stick frying pan when you cook? Well, that convenience could be costing you your health. 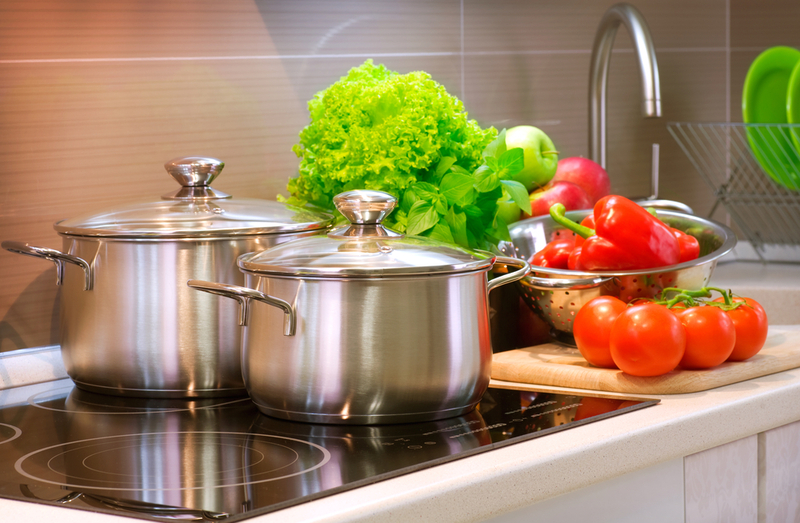 The chemical that is found in these kitchen appliances can decrease thyroid function. Only moderate exposure is enough to trigger thyroid dysfunction. Are you afraid of bacteria and want to kill every last microbe in your house? Our super clean lifestyle and phobia of little creatures has made us sicker than ever. Triclosan is a common antibiotic that is used in things like dishwashing liquid, hand soap, and toothpaste. It interferes with the proper functioning of thyroid hormones as well as with estrogen and testosterone levels. Chlorine is probably easy to avoid in cleaning agents like bleach, however, be wary that it can still be present in high levels in your drinking water and water that you use to take a shower. PCBs or Polychlorinated Biphenyls found in chlorine are toxic to thyroid cells. They increase TSH, thyroid antibodies, and thyroid size. All of these chemicals with fancy names are found in common beauty products like shampoos, conditioners, lotions, facial and shower cleansers, hair dyes, sunscreen, lipstick, and nail polish. They are all absorbed through the skin and they are potent endocrine disruptors, which means that they disrupt the proper functioning of hormones, including thyroid hormones. 1. Throw out all the plastic! There is really no reason to use plastic these days. It is bad for our health and it is bad for the environment. So do yourself, and the earth, a favour and store your food in glass containers, use glass or stainless steel bottles for your drinks, and attach a water filter to your sink for drinking water. 2. Use cosmetics that are toxin-free. www.safecosmetics.org has an in-depth report on thousands of cosmetics and recommends cosmetics that are toxin-free. With all this information available, you do not need to use cosmetics that will ultimately make you sick. 3. Ditch the antibacterial soap. There is really no need to use antibacterial soaps and like agents. A healthy amount of bacteria on our skin also help to build a stronger microbiome (or the world of microorganisms that we are all host to). Studies show that a more diverse microbiome helps to protect us against disease by boosting our immune system. If you still insist on using antibacterials, try natural ones like oregano oil, olive leaf, or garlic. 4. Get a filter for your showerhead. Yes, you read that right. Our skin is the largest organ in our body and it absorbs many things that come in contact with it. This includes the water that we shower with. In order to avoid excess exposure to chlorine from the water, get a filter to avoid further damage to your thyroid and hormonal health. 5. Use cast iron instead of non-stick surfaces. Replace your non-stick frying pans with cast iron frying pans and pots. Cast iron pots do not leech any toxic chemicals into your food. They can leech iron, however, which may be a good thing as most people with autoimmune disease are usually iron-deficient. Don’t waste another minute feeling sick and tired. Making these simple changes to your daily routine can have you feeling vibrant and alive. Remember, it is not about the absence of disease, but about optimizing your health so that you can feel at your best to enjoy your life. 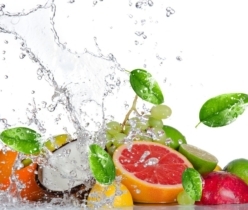 Is a Detox a good idea when you have hypothyroidism?